“Communication and knowledge are the key to achieving a successful outcome for your clients”, says Colin White of Harcourts Broadbeach-Mermaid Waters. 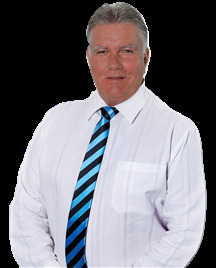 Colin is a proven, successful consultant with over 23 years experience in selling real estate on the Gold Coast. Keeping his clients fully informed throughout the selling process is paramount to Colin and he has a large database of repeat clients as evidence of his commitment to providing the highest level of service. A focus on providing a smooth sales process, a positive attitude and a successful long term record are good sound business reasons why you should consider spending a few minutes of your time with Colin before making that final and important decision. As Broadbeach/Mermaid Waters has grown in stature and desirability, so has the need to find a real estate agent, who will offer a premium service to both seller and purchaser alike. 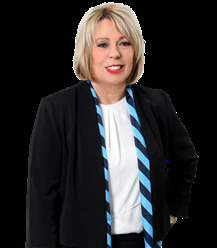 Jayne Lofthouse works and lives in Mermaid Waters and has spent several very successful years working in the Broadbeach area where Jayne gained an extensive knowledge of investment selling and purchasing. As a resident of Mermaid Waters Jayne has an intimate knowledge of available stock and exciting upcoming developments so that any prospective purchaser, investor or owner/occupier, can have confidence in her ability to source that ‘right’ property. Jayne has also demonstrated her keen negotiation skills in the sale of many and varied properties around Broadbeach, from 1 bedroom investments to multi million dollar properties. Appreciation of the level of service Jayne provides, coupled with outstanding results, has led to many of her purchasers and vendors returning for more of that service, demonstrating her ability to satisfy a large database for the sale and purchase of property in Broadbeach/Mermaid Waters. Joshua Parsons moved to Queensland four years ago from the hard working rat race of Sydney. He studied Electro Technology refrigeration and air conditioning after finishing school. After falling into a sales roll shortly after his completion of Cert 3 Electro Technology refrigeration and air conditioning, Joshua found his passion e.g. people. He now has eight years of negotiation and sales experience within a range of industries. All of which, he has excelled and received numerous awards. His aim to be the best in an industry which he loves. His achievements are reached by four main components hard work, ethical and moral duty and finally a passion to succeed. His ability to negotiate and close the deal is second to none, and fuelled by a passion that few are born with and fewer are taught. Years of experience and an acknowledgement of continuous practical learning and reading, results in the fact that he only gets better and better. With strong communication & skills among the best, Joshua is excellent at forming the bridge between his clients and their dreams or the next step of their life. Joshua understands that applied knowledge truly is power, so whether your after information on your area or clear and honest information on buying or selling then please don’t hesitate to contact him today. His success will always be measured by the happiness and loyalty of his clients. 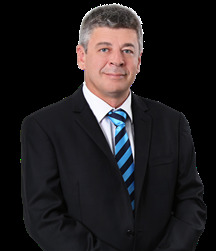 Michael has been in real estate since 2009 after many years in the NSW Police Force. Since his career started in real estate, Michael has sold over 25 million in property and has won many awards for outstanding achievements within the real estate industry. In 2011 Michael re-located for a short period to pursue a career in Kensington, London, selling multi-million dollar property in the UK. Working for a company called Rickman Properties and selling prestige property was a great experience and these properties were priced up to $10 million pounds. Kensington is the 2nd most expensive suburb in London after Knightsbridge and is also known as the Royal Borough of London. 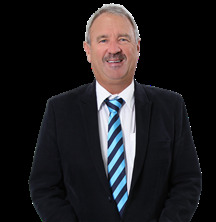 Michael has bought and sold property over the years and has been passionate about real estate from a very early age and has numerous investments on the Gold Coast. He believes “if you treat every property as if it were your own, then you will always do the right thing by everyone involved”. Michael’s attention to detail is impeccable, he is very honest and genuine and he has a strong work ethic when it comes to selling your property. Michael’s approach to selling is different to the standard approach and his clients are ‘clients for life’ and are given exceptional service, ensuring the entire transaction is as hassle and stress free as possible for both the seller and the buyer. Michael takes care of everything from start to finish, including organising furniture removal, staging, maintenance, body corp matters just to name a few. Michael would love to assist you in all of your property needs - whether selling, buying or renting or if you would just like to have a chat, please do not hesitate to get in touch. After completing a degree in marketing Nicky started her career with the BBC in London before her love of property led her to pursue her real estate ambitions with her father, Noel Mewett a former key identity in the real estate industry. A strong advertising background has given Nicky superb marketing skills, a meticulous eye for detail and an ability to work to a deadline – all vital ingredients for a successful sales campaign. With over 17 years experience in the real estate industry and over $160m of settled sales she has earned an enviable industry reputation for superior negotiation skills whilst always focused on ensuring that every client receives a premium level of service. Her enthusiastic, honest, loyal and hardworking approach gives her clients an added advantage when entrusting their most valuable asset for sale. With four children of her own, she completely understands the pressures and requirements of a growing family. Having studied and grown up on the Gold Coast, Nicky is passionate about the unique Gold Coast lifestyle and her intimate knowledge of local market conditions and extensive local experience provides a unique prospective and great empathy for her clients. If you are looking for an agent who has a driving passion for real estate, is entirely committed to the goals of her clients, and who offers an unmatched level of service and record of achievement, there is only one choice. 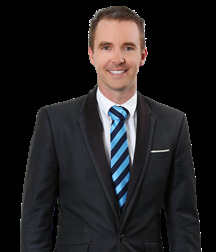 With a strong background in prestige property sales, Peter is a dedicated local with over 10 years on the Gold Coast. Enjoying a varied career path with exposure to multiple industries and high level clients, Peter has developed an impressive network of international contacts that trust him implicitly with real estate advice. Peter believes in navigating his clients through a stress-free and straight-forward real estate transaction, this combined with his comprehensive knowledge and commitment to getting the job done are a rare commodity and testament to his continued success. Ronnie Jackson originates from the Gold Coast and Northen NSW, however her career in Real Estate commenced in London after deciding to turn her passion into a career, where she rose quickly to being one of the top performing agents in a very busy office in Canary Wharf London. Ronnie has been in sales for many years and thrives on providing all of her clients with exceptional service, exceeding expectations and delivering results. This has been proved many times in her career when she has gained consistent high results for 'Mystery Shops' and was voted in the top five Business Advisers for Vodafone UK prior to embarking on her real estate career. Building relationships with all personalities comes naturally for Ronnie: she has dealt with many high profile clients such as Jimmy Choo, Michael Ball, Samuel Allardyce & James Corden to name but a few. Ronnie claims "that is what I love about real estate - I get to work with people and property and have the opportunity to give everlasting impressions from great service". 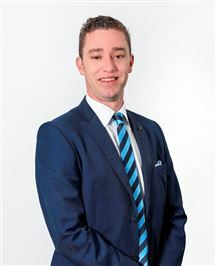 Ronnie is passionate about property and dedicated to exceptional service. She is highly professional, committed to her clients' needs and transparent in her business dealings. Building honest and trusting relationships with people is Ronnie's aim as she recognizes that this is uncommon in the real estate industry. Susan began her successful real estate career on the Gold Coast in 2011 and has gained a stellar reputation during this time. She worked with several large franchise groups before starting her own company Auslink Property Group introducing her international clients to real estate opportunities on the Gold Coast. Susan prides herself on providing exceptional customer service ensuring that both the buyer and seller receive exceptional service. Many of her clients have concluded multiple transactions with Susan over her career which is a testament to her goal of having clients for life. Susan is fluent in English, Mandarin and Cantonese. Before her career in real estate Susan worked as a senior accountant in Mainland China. She also owned her own restaurant and building renovating business in Northwest China before moving to Hong Kong in 1995. Susan came to Australia in 2001 to commence study for her MBA IN 2002. 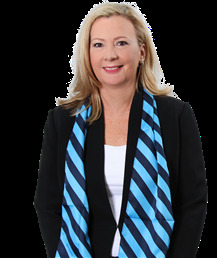 Her initial roles involved sourcing materials from China for Australian companies and this created natural opportunities in real estate and has enabled her to create a significant database of offshore clients who look to Susan for guidance and advice on real estate opportunities with Australia. Her experience both locally and internationally has enabled Susan to create a significant network of clients. 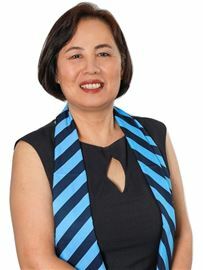 She has also been at the forefront of setting up Asian Community Associations and networking groups on the Gold Coast. She has worked and lived in several Australian cities and her local experience, knowledge, contacts and network means she has become the trusted advisor to a large international audience looking to do business and purchase real estate in Australia Susan has experience in many aspects of real estate and she has successfully assisted with the sale of commercial, industrial and residential transactions including rural farms. She is a key figure in the Gold Coast real estate market, respected by her peers and trusted by her clients. Wayne's dedication and passion for selling Real Estate is why he has achieved extraordinary results for his clients on a consistent basis. Continually striving to provide impressive negotiation skills is what sets Wayne apart from his competitors. Wayne has come from a family that have always had a passion for Real Estate. The Vowles family have over many decades built and developed many properties. His aim is to capture a greater audience, giving all clients the best possible strategies to achieve the maximum exposure and price for their number one asset. Wayne is a very honest, reliable, down to earth and committed sales agent, so if you are looking at buying or selling, Wayne is the agent for you. Elaine joined Harcourts Broadbeach – Mermaid Waters Property Management team in 2017 with over 12 years experience. 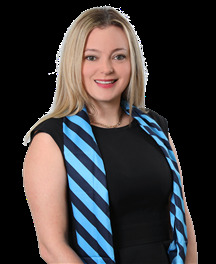 Elaine has based her career on providing excellence in Property Management. Her past real estate experience has taught her the value of clear communication and she prides herself on keeping clients fully informed. Elaine’s strong organisational skills, honest, ethical and professional approach to the industry allows her to stay in control of a busy role, and ensure all potential tenants enjoy a seamless experience when searching for a home. Elaine believes as Property Manager comes a great sense of responsibility to the clients who entrust their most valuable assets to her care. She is known for her excellent communication skills. Equally as imperative, she endeavours to deliver the utmost care and attention to every single property. Elaine is proud to be involved with a growing company. She will ensure you receive the highest level of service possible every time. Elaine is a people person with a can do attitude and a great sense of humour. If you need a property manager that you can rely on, give Elaine a call. If you are looking for a result driven real estate property manager, Emma certainly has a proven career; bringing to Team Harcourts her extensive 18 years real estate knowledge. Emma manages property from a one bedroom apartment to a multi-million dollar home in Hedges Avenue, Mermaid Beach. Previously to Harcourts she has led multiple property management teams. 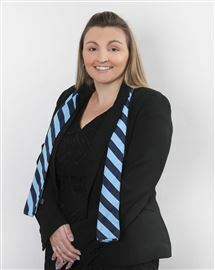 In her time at Harcourts Emma has won multiple awards and continues to excel in her field. -	Number 3 Property Manager in Queensland 2013 – 2014 -	Property Manager of the Quarter 2013 -	Property Manager of the Quarter 2014 -	Leading a gold award winning Property Management Team in 2013 and 2014 -	2014 National Conference Speaker and Panelist Results are what Emma’s business is all about, whether a client is a landlord or tenant; you are a high priority to Emma. The real estate industry is not just her job it’s her passion. Emma has investment property herself, which is why she understands and will always exceed her client’s expectations. 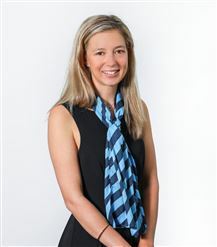 Erika first introduced herself to the Harcourts Broadbeach | Mermaid Waters Property Management team in September 2016 as the Leasing Consultant. Eager to learn and develop her skills, Erika has recently joined the New Business Team as Emma Metham's Personal Assistant. With her bright personality, Erika brings enthusiasm and excitement into her role. “Harcourts provides me with all the support and systems I need to achieve my goals, and I’m proud to be a part of this excellent organisation” says Erika. Her passion for providing five star customer service, coupled with a proactive and positive attitude will see Erika succeeding long into her Real Estate career. Rare and Ready to Sell ! Investors - Ready, Set, Go! Tidy Villa - Shops so Close! Large Block - Jazz Me Up !